Packing : Pearl cotton Bag+Carton+ pallet +wooden box for bulk-cargo. Certificate: UPC&CE for soaker and massage tub. UPC for faucet&shower. Upc for drainage&overflow. Dual massage system : Combination of whirlpool and air. Electronic fittings : Electronic controller, radio,colorful LED lamp are avaiable. Other choice : Totally 40 different sizes of walk in bathtubs. 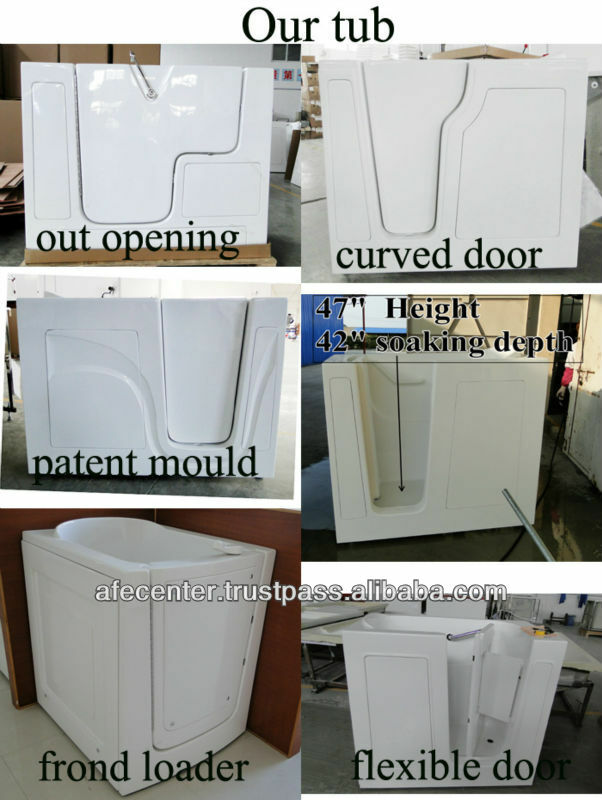 How to Choose a Walk in bathtub Factory? 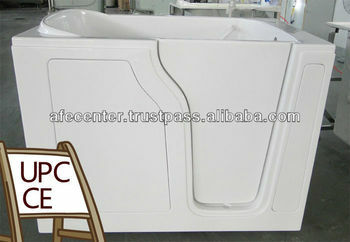 Walk in bathtub is a kind of product with hihg profit, but its after sale cost much money if accident happens. Maybe an accident will eat one month profit.Thus a qualified factory with high credit is very important for dealers. 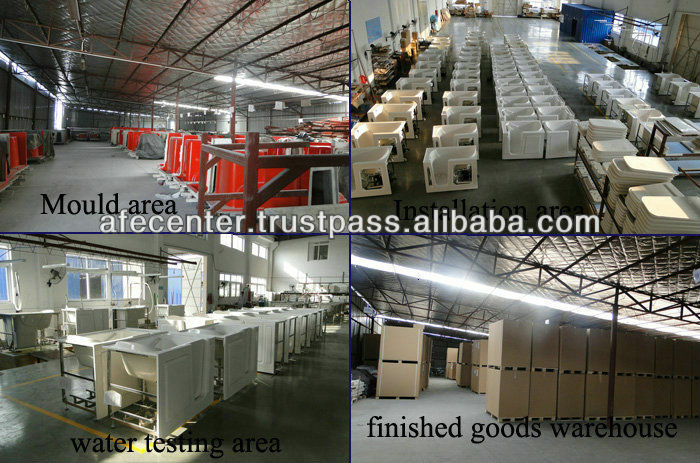 Many factory can declare his quality very good,can declare many things because this is all hand typing. He can even show you a lot of customer photo. But those photos are only visitors photo not any customer with order. How can you know which factory is truely good when you are searching about manufacturer in alibaba? Maybe the factory have beautiful photo, but you can not found true qualtiy from a painted(edited) photo. A walk in batyhtub is around 600-1000USD per set. A normal worker's salary is just 400USD-500USD/month in China, a photographer only cost one tub's money. Any factory can hire a people to decorate his photo and words on alibaba. He can even declare he sell 100000000000 tub one year. But these are Only photo quality and cheating words , not product quality. How do you know who is truely good? All above information cost a lot of money, only a company who have long term customer and export big quantity will have money to do this. We are factory located in China, with sales office in USA(AFE center) and warehouse in UK! 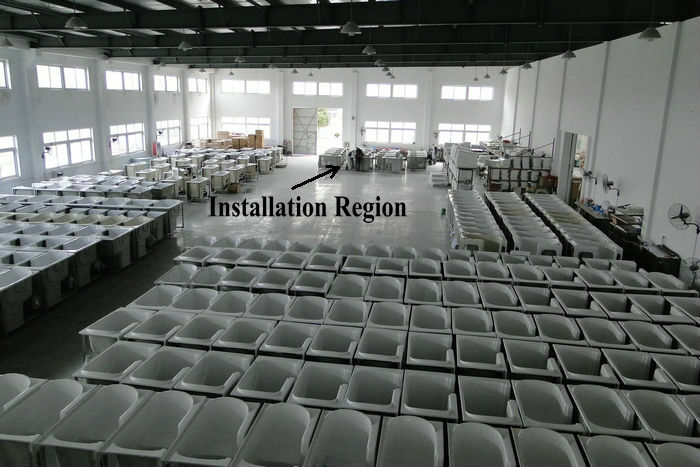 Our producing center is in China covers 10000 square meters, price is China Price! 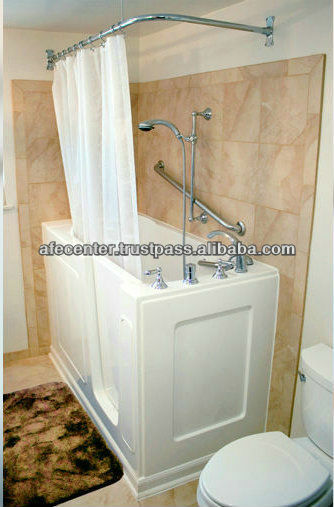 We are the man bring the first set of walk in bathtub to China! 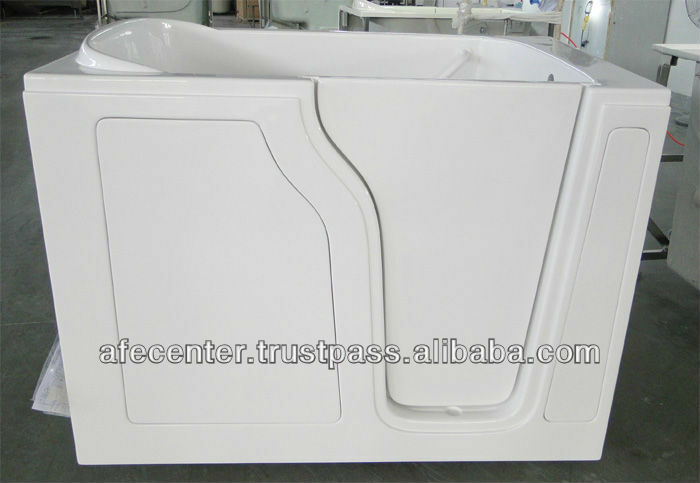 We are the first factory start producing walk in bathtub in China! Till now it's 9 years producing. We export 10000 walk in bathtub out of Shanghai every year. Our annual export quantity accupy big percentage in the field! We are factory can helop you grow! No hesitate, we are the factory you must grow with.